We are currently looking for talented Finnish VIP Manager for our clients awesome company. This is an excellent opportunity for you to join a skilled and growing team. This role will be responsible for all Finnish VIP customers of one of our client’s brands, focusing on building fantastic customer relations, developing new VIP customers and increasing overall player lifetime value. This is a great opportunity, for a creative and ambitious individual to join an expanding and committed winning team. Build strong relationships with our high segment customers, provide excellent service and provide them with an exclusive, tailored gaming experience. Ownership of local KPIs and responsible for the performance of local market. Taking ownership of escalated customer issues and identifying custom solutions. Assist the Head of VIP in managing the VIP life cycle from strategic planning to tactical activities to maximize player lifetime revenues. Work with the VIP and CRM team to localize promotions and campaigns for your portfolio of players. Monitor individual customer performance and ensure that the bonuses, gifts and hospitality invitations offered, are in accordance with business requirements. Hosting VIP events for your market. Handle customers’ day to day queries and complaints, including out of hours when necessary, in order to provide the VIP with personal and fantastic service. On request, actively take part and assist in marketing activities such as VIP events/seminars/conferences. Monitoring client base and provide regular reporting to assist identifying key opportunities and threats. Work very closely with the Compliance team to make sure we are offering our VIPs all the Responsible gaming tools for them to play in a fair and fun environment. Experience of direct customer management at least 2-3 years (customer service, outbound or account management). Preferably previous experience with handling VIP customer. Previous iGaming experience a must. Advanced English written and spoken. 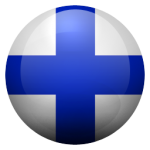 Native Finnish written and spoken. Excellent IT-skills especially Microsoft office. Independent and able to use initiative to find solutions. Strong team player who is self-motivated. Passion for constantly improving and delivering the best. Great problem-solving skills, ability to take charge make a decision even under pressure. We are team workers and cross functional collaborators – we don’t have boundaries when it comes to getting work done. There will be lots of opportunities for you to be stretched and challenged in your role, and outside of it.